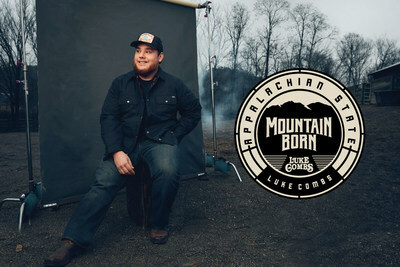 INDIANAPOLIS, Nov. 8, 2018 /PRNewswire/ — Learfield Licensing Partners, a trademark management company specializing in collegiate licensing and branding, and Appalachian State Athletics announce the release of the second phase of the Mountain Born collection, a co-brand collaboration with App State alum and nationally recognized country singer Luke Combs. The collection includes Legacy brand hats and apparel, Orca coolers and a special line of Columbia gear, bringing together licensees of existing partnerships for both the Mountaineers and Combs. All of these items are available for purchase at the App State Bookstore and will soon be available in the Mast General Store in Boone and online here. Highlighting the roots of Combs’ music and personal ties to the Appalachian region, Mountain Born embraces neutral colors and natural designs that represent the High Country. App State Athletics is proud to partner with Combs to create this exclusive line that ties together two brands that would not otherwise be paired. 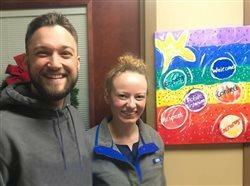 The Mountain Born collection originally launched in 2016 with Eric Church, Mountaineer alum and country music star, through the university’s relationship with Learfield Licensing. App State looks forward to continuing partnerships with alumni who are making an impact on a national and global scale. To see the full Mountain Born collection, click here. Learfield, which has a deep presence in the college athletics landscape, manages the multimedia and sponsorship rights for nearly 130 collegiate institutions, conferences and arenas, and supports athletic departments at all competitive levels as title sponsor of the Learfield Directors’ Cup. For more than four decades, Learfield has connected brands to the excitement, passion, tradition, fun and fans of college sports and now leverages multiple platforms and partnerships through distinct offerings through its affiliated companies.